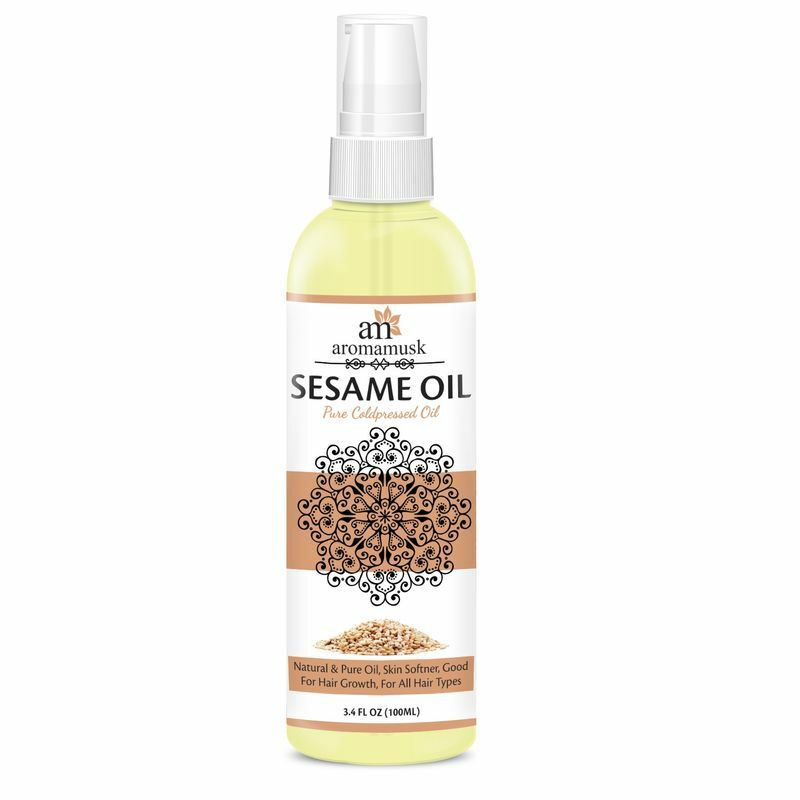 AromaMusk 100% pure Organic Sesame Seed Oil is Cold Pressed from high quality sesame seeds. 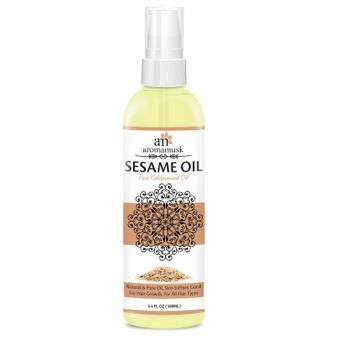 Sesame Seed Oil is rich in natural Vitamin E, A & B, Antioxidants as well as fatty acids like linoleic acids and palmitic acids. This is a clear lightweight oil which acts as a natural moisturizer and can be combined with shampoo, conditioner or can be directly applied to your skin and scalp. AromaMusk Sesame Seed oil is cold pressed from the seeds of Sesamum Indicum plant. Explore the entire range of Massage / Carrier Oils available on Nykaa. Shop more AromaMusk products here.You can browse through the complete world of AromaMusk Massage / Carrier Oils .